Waste/Overflow with Lift & Turn Drain- Constructed of 1-1/2" solid brass tubing, replicating the original size of these drains. 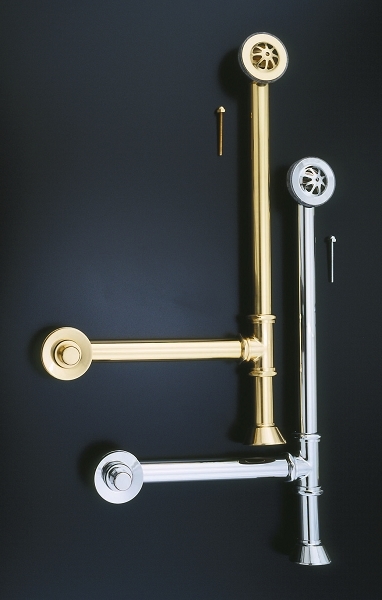 All parts are Heavy Duty & Solid Brass Construction. Floor escutcheon is 2 1/2-inches diameter, overflow and drain flange is 3-inch diameter. Will fit most leg tubs manufactured from 1900 on. Also Fits all of our new clawfoot tubs. 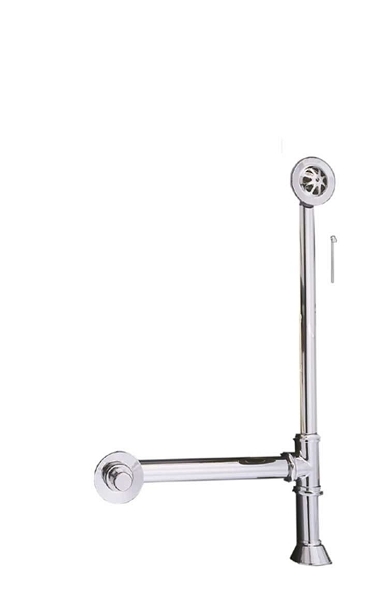 Available in choice of Chrome, Lacquered Brass, Polished Nickel, Matte Nickel, or Matte Black finish.